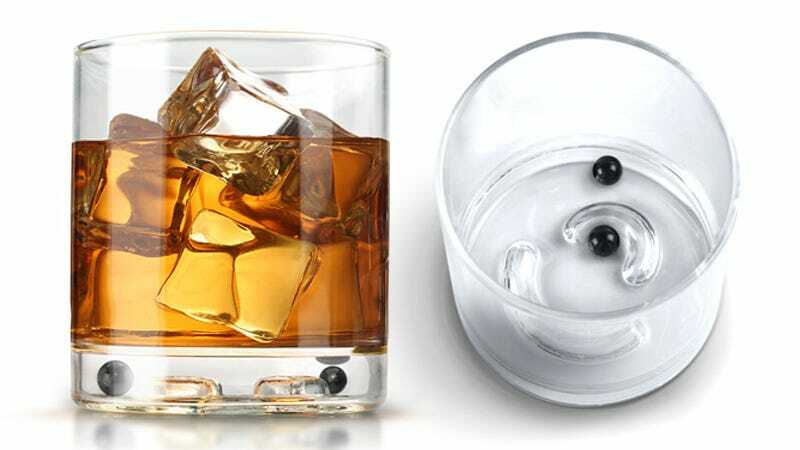 If you've ever doubted how intoxicated you really are by the end of the evening, this hand-blown glass tumbler with a ball maze in the base can keep tabs on your dexterity as you down drink after drink. The maze itself isn't that complicated. After a couple of cocktails, you should have no trouble getting the balls to their destination. But as the evening wears on, you might lose your ability to solve this simple challenge—or, if you try it, you might end up pouring tequila all over your chest. It's certainly not as scientifically accurate as a breathalyzer, but if it successfully convinces you you're too blitzed to solve the maze that is the drive home, then it's totally worth $20 when it's available this fall.